What’s the Difference Between Traditional & Paintless Dent Repair? If your luxury car has a dent, you’ll want it repaired as quickly as possible. In most cases, you’ll have two choices: traditional or paintless dent repair. Kudos Import Auto Service & Performance in Saint Charles, MO, understands that each method has its benefits, so they’ve outlined how each works so you can choose the best system for your car. One of the starkest differences between the two is that traditional repair fills the dent with another substance, generally fiberglass or aluminum. During the traditional dent repair process, the dent is sanded down, then filled with body filler, and painted with a color that matches your vehicle’s exterior. 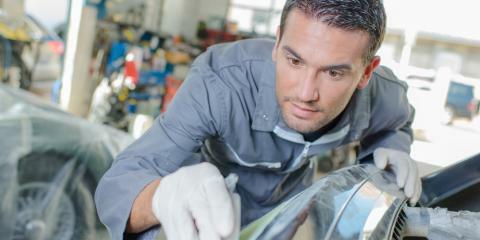 This method makes your vehicle look as good as new, but the repair may not always be permanent. The paintless method is usually used for small, shallow dents. When performing such repairs, a technician will remove panels from your vehicle’s exterior and push the dent out using specialized tools. They buff the body, making it appear undamaged without any painting necessary. 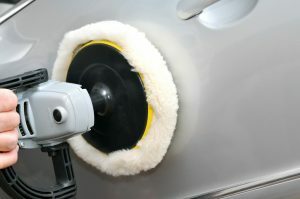 Because it doesn’t require sanding or painting, paintless dent repair is more efficient than traditional. The right fix for you will ultimately depend on the damage to your vehicle; often, paintless repair isn’t an option if there are cracks, chipped paint, or other damage caused by a collision. If the damage is minor, paintless is a quicker, more efficient, and cost-effective alternative. If you don’t know which method best fits your repair needs, a knowledgeable auto repair technician will be able to help you choose the best repair route. If you have a few dings you want to fix, the professionals from Kudos Import Auto Service & Performance provide efficient and affordable dent removal services. From paintless dent repair to preventative maintenance, their team has serviced luxury cars in the St. Charles, MO, area for more than 10 years. Call them today at (636) 448-7145, or visit them online for a closer look at their import car maintenance and repair solutions.